With profound sadness the family announces the passing of Ms. Suzanne "Susie" Maureen Lefebvre who died at the Englehart & District Hospital, with her loving family by her sided on Sunday, December 09, 2018 at the age of 64. Born in Iroquois Falls on September 10, 1954, to the late Charles Edouard & Lillian Laverdure. She is survived by her loving husband Jeffrey Sampson. She will forever be in the hearts of her children Michel (Cindy) Rousseau & Daniel Rousseau and Steven (Stephanie) Sampson & Melissa (Michael) Ward. Suzanne was the cherished grandmother of Riley and Jacee, Kierie, Rose, Violet, Abigale and Jeremy. Also surviving are her siblings Michelle Whitcombe, Jackie Lefebrve and Charlene Lefebvre as well as her in laws Gerry Whitcombe, Rheo Haquard as well as many nieces and nephews, her extended family members and her cherished pet Lucky. Susie was predeceased by her parents Charles and Lillian and her brother Ronald Lefebvre. A private celebration of Susie's life has already been held, with cremation taken place. In memory contributions to the Englehart & District Hospital Palliative Room or the Canadian Cancer Society will be greatly appreciated. Susie's family would like to thank the Doctors and Staff at the Englehart & District Hospital who provided support and displayed exceptional compassion towards Susie and her family. Condolences, contributions and memorial candles may be left at www.mcdonaldfuneralhome.ca. 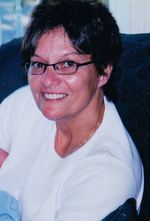 To send flowers to the family of Suzanne " Susie " Lefebvre, please visit our Heartfelt Sympathies Store.